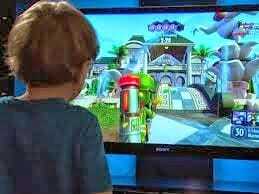 Kristoffer Von Hassel, a five year old boy from San Diego, United States figured out how to log in to Microsoft’s Xbox Live service account of his Dad without the right password. Microsoft has acknowledged the security vulnerability and fixed the flaw. It has also added Kristoffer to its list of recognised security researchers. From the ease of the backdoor which Kristoffer found it is most probably a development backdoor which company’s usually put for developers and testers. Such kind of backdoors are kept at the testing stage to allow the developers and testers to log in to the service and from the looks of it, the Microsoft engineers forgot to remove the backdoor while launching the service. You can watch Kristoffer’s complete interview, which he gave to a local news station KGTV below.